but finding gifts that children can make can sometimes be troublesome. Especially, when you wait until a week before Christmas to get started. next week is a great time to put the Christmas break to good use. My nine year old made these. Trust me, they are simple! This would be a great project for young tweeny boppers too! 1. Visit Home Depot and head to the back of the lumber aisle. They should have a discount bin, where you can snag a board like this for practically free. Actually 51 cents, but if your kids flash a pearly grin, and ask adorable questions like, “What kind of wood is this?,” and “Do I need to sand with the grain?” then you might just score them for free. NOTE: I have only seen the discount bin empty one time. You may not score the same size board as we did but there is usually always something to work with. Try to take the STRAIGHTEST board with no SPLITS. 2. Cut your board. HD will do this for FREE! or if you have a saw at home, that works too. We cut our boards at about 14 inches. We got FIVE signs out of one board! SCORE! 3. Paint your background color on your board. Use a lighter color paint, as we will darken it up a bit a little later. (Sissy’s signs were painted white and light blue to begin with.) TIP: While you’re at Home Depot, check their paint department for the “Mess Ups” rack. I often find a small tub of paint for 50 cents! 4. Choose your word. Pick a font that is crisp and easy to paint. Print it at a size that will fit your board. 5. Follow this chalk tutorial for transfering your word to your board. Or use graphite paper, we’re cheap and there are ALWAYS little chunks of sidewalk chalk around our house. 6. Paint your word. This is the longest part, go slow, don’t fret over mistakes, we can sand them off…and we want it to look shabby anyway right? We have a basic paint brush set from Wally World that included a slanted tip paint brush….this helps quite a bit. 7. Shabby your board up a bit. Use sandpaper to rough up your word. Hammer in some dents. Rough up the edges…ect. Don’t be afraid to take out some big gouges! Where ever there is bare wood showing, the stain will soak in. 8. Use a wood stain over the paint. This is the most expensive part of the project. Wood stain is about $8 at Home Depot, but it will last you a lifetime! You literally use a dab of this stain for each board. I love Minwax Jacobean for most projects. Mom or Dad can do this part too, if you’re nervous about the kiddos handling such a noxious product. 9. Let it dry. We move ours indoors because it sets quicker. Afterwords you can spray a poly coat on if you like, this is just an extra step to protect the sign if say you needed to clean it for some reason. Not necessary, but if you have the spray anyway, give it a quick shot. 10. If you want to be fancy, hammer a hook or a picture holder into the back. $8.50 makes about 5 signs….so that’s about $1.70 per gift! Maybe Mom can make a few too? This sign literally cost me about $1.00 in materials. my camera is full of photos to share! So yesterday I posted all about my crazy yellow dresser. I tried adding in a little wax. So here is the stuff I picked up. But that’s okay, because it’s going to rescue my dresser from a classic craft fail. in all the areas you want a bit more shabby. Which in my case is like the entire thing. will make you THINK you can FLY like a birdy. And that is certainly not our intention this afternoon. You can see the bottom two have been waxed. The color is toned down just enough that it’s not giving me a headache anymore. It’s hard to tell in the photo, but in person it makes a huge difference. It’s just the color that I wanted! I will be using birdy doo on EVERYTHING from now on! In which I spill my Dirt…. I am spilling dirt everywhere. Cause it’s not really dirt yet. And some of this stuff. Please pray that I don’t end up with the smelly horse sludge! Do you compost? Got any tips -or- Smelly horse sludge stories? I need to be honest here for a minute. Lately, I’ve been quite distracted. Or maybe because I recently moved my desk in front of a window. But, really I think it’s because I bought some of these. And a little more of this. And it’s hard to look back at the computer. And loving every distracted minute of it! You didn’t plant. You didn’t water. where almost no one can see. A forest springing with life. a glimpse of the mind of God. Sewing for the Birthday Boy! Someone very special is turning 1 this month! and someone who’s diaper I don’t have to change! Someone who made me an Aunt for the very first time! 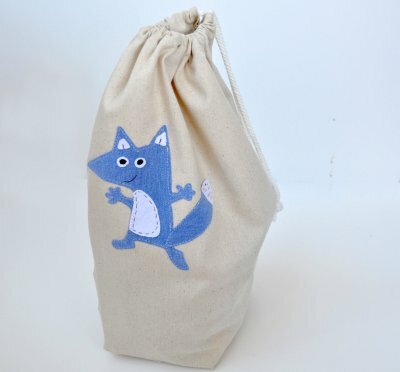 this wonderfully simple tutorial for making a drawstring bag. …..with a little more color! You can purchase these by the 1/2 yard at Fabric.com or by the yard on Amazon here. I’m using a Fat Quarter of each. and followed the pattern step by step as if I was just working with on fabric. but it already has “folds” and “creases” in it. I would suggest that you use a clear table cloth or something more sturdy. before sewing up the final edge. Then I decided to make a pocket from the scrap rectangle I just cut out. I just ironed and folded the edges and then added a bit of bias tape across the top. I love these little fishies! but I’m super paranoid and since it’s a gift I’m keeping it extra baby friendly! Then I went back to following the tutorial. I sewed up the sides, squared off the corners, and added the draw string. Note: Those are just little plastic balls, like from the ball pit at Mickey D’s. I have not idea why photoshop is turning them into crazy psychedelic orbs? filled with interactive pages that squeek and rattle. which I laminated and then tied together with a matching ribbon. Sure wish I could “hand deliver” this one! I love having new treasures to look at! that I decided to post one too! Here were the Top 10 visited blog posts for the year! Wishing you a Happy 2012! Can I tell you something about our family? We own WAY, WAY, WAY to many bibles. I think if I stacked up all the bibles in one pile it would tower over my two year old. touch our lives and bring us closer to God. I believe I’d already said that we have the same misconceptions about cleaning products too…. Of course it’s obvious that the missing ingredient to that formula is ACTUALLY USING them. Well, today I wanted to share with you one that actually does get used….by our entire family! It’s quickly become our Go-To bible. The one that gets opened. The one that gets read. The one that gets put way high up on the shelf because little peanut butter fingers so desperately want to feel the pages. This bible sells for about $35.00 so it was a thoughtful purchase for us. Actually,it was the first bible I prayed over before I even took it home. I wanted so much to have a “Family Bible.” I prayed that God would lead me to just the right one. Something we could all sit around and read together. One that could also serve as our Classroom Bible during our history lessons. I wanted to share in case you too were looking for a little jump-start to your new year. This would be a great time to start reading a bible reading plan with your little ones! Here is a chronological reading plan to get you started. Recently I decided that I needed to make my little nephew something for Christmas. I found these adorable baby boot patterns from a website called I Think Sew. but I finally settled on the “Charlie” pattern. and you can get it for $2.00!! I didn’t even mess up once. and a plaid flannel for the inside. I think I’ll be adding a little checkered tag to everything from now on! I can’t wait to see these on my little nephew. With the way he grows I’ll be lucky if they still fit him by Christmas! Warning: What you are about to see involves Awesomeness. We wouldn’t want you to overload and blow a circuit or something. And we ain’t takin NO PRISONERS. important childhood milestone: The Mastery of RC vehicles. These babies are Infra-Red Laser Battle Tanks…. INFRA RED LASER TANKS. With an S. The plural form of Tank. And we have Xenon Project to thank! Xenon Project is THE go to place for all your RC products! They have everything your little (or BIG) fella could dream of! Cars, Trucks, Buggies, Helicopters, Tanks, and even Boats! Really? Remote Control Boats! How cool would that be? Seriously. Score yourself some Boy Mom points and check them out. and you’ll get yourself a handy coupon code. and polish my Boy Mom of the Year Award. Disclaimer: This product was sent to use free of charge in return for our honest review. I was a little nervous about week #3. Week #3 is Student Photo Week. Okay, so you might have noticed that I don’t show pictures of my children. their beautiful little faces are creatively shielded from view. maybe even the back of a head. But overall they are kept out of the photos I share here. Now don’t get offended here. It’s Not that I don’t love sharing my life with you. I came to the decision to keep our family life private. the whole “reality tv/mommy blogger” connection. One that every family makes for themselves. you can see actual photos of children growing, and learning, and playing. Baby photos and the little cartoons will have to do. I hope you’ll still read me? Sissy. Sissy is now 8, and in Third Grade. She is spunky, bossy, and has a huge heart. She is a great friend, loves competitions and hard work. Every year Sissy grows out her hair and donates to Locks of Love. Bubba. Bubba is now 5, and in First Grade. The boy is a genius. Boy Wonder. He is extra confident and secretly a superhero. He never stops talking. He’s talking to me as I type this. Monkey. Monkey is now 2, and just starting to talk. He is Crazy. A Crazy Monkey. A Fearless Crazy Monkey. Currently, jumping off the couch with a toothbrush in his mouth crazy. Freckles. Freckles is now 7 months. He giggles. He crawls. He Sits up. He eats random Cheerios off the carpet. He’s a human vacuum. With an output diaper. And I can still smell baby on him. So there are my adorable students! Right there in the upper right hand corner. I know you thought I was an actual cartoon, but I am real too. Last night, I dared to look into my craft closet. It’s nothing special, just a simple linen closet completly devoid of linen. I love my Craft Closet. and then a shelf of “Open Projects” as I like to call them. It’s not because I forgot. I got all giddy and excited about this long forgotten project! Yo-yo hairbow tutorial with the public. In fact these are perfect beginning sewing projects for your little girls! Hearts at Home Curriculum is a fantastic place to do your curriculum shopping, did you know they have Apologia titles at 30% off? Speekee offers a Free Trial of their online Spanish program for kids! This is a great time to test it out to see if it’s a good fit for your family. Monkey(2) has decided that he no longer wants to be held down by a humongous soggy elmo diaper….instead opting to steal his brothers Spiddy-pants to enjoy the freedom of running through the house, yard, and street at a much faster pace. And then later of course making grand unintelligible attempts at telling me (AFTER THE FACT) of all the strange things that happened on his Spiddy Adventure. So……It’s time to get proactive here. No no NO TOUCH Poo Poo! First, in all the potty chaos I’m hoping that I’ll stay organized enough to participate in the Not-Back-to-School Blog Hop, there are three more weeks covering SchoolRoom, Student Photo & Day in the Life. I simply must get my act together if I’m going to accomplish this. And I’m also (hoping to finish in August) a Ten Commandments Lapbook…..nothing to serious, somthing for the little ones to study and hopefully memorize them all. I’ve seen lots of amazing commandment folders and I’m excited to finally cut a file folder into the shape of tablets! Also, I’ll be posting more Bible Verse Printables on Totally Tots! We’re currently on the third CD of Seeds family worship music. Other then that I’ll be hanging out on Pinterest, and Facebook.…come stop by and say hi! 10 things I bet ya didn’t know about me…. 1. I have my motorcycle licence. 2. I got pregnant within a month of getting my motorcycle licence, so I’ve yet to ride a motorcycle further than a Costco parking lot. 3. I have allergies. I am allergic to whinning, excuse making, laziness, muddy boots, and anything else that the diaper misses. Oh and grass. 4. I really do have allergies. Well I did, and then I didn’t, and then I did again. When I was a child I would get an allergy shot EVERY Tuesday. Then I hit puberty and grew out of them. Life was good. Then I got pregnant and they came back. Booooo. I loathe my Mood-swinging allergies. 5. I only wanted two children. That sounds bad. Let me restate that. I only PLANNED on wanting two children. God changed my heart…and my plans. I’m HAPPY with four. Four is good. Four is plenty. In fact I’m pretty sure that I’d be allergic to Five. 7. I am no longer like that. In public. 8. I have a secret desire to write a book. In fact I’ve already started. But don’t hold me to finishing, I hate deadlines and just might abandon the whole thing all together if I’m pressured. 9. I struggle with Scatterbrain-ness. I simply cannot hold up a “Real-Life” conversation and watch my children at the same time. I’m not crazy. It’s just impossible for me to bounce a baby on my hip, keep my toddler from drowning in the pool, stop my older two from giving each other black eyes, and hold up a decent discussion on politics….Heck, I couldn’t even tell you the colors of the rainbow right now..and the mumbling, and drooling, and half-finished sentences you hear coming from my direction are simply part of my autonomous system and I have absolutely no control over them. Noooo Control. Again, I’m not crazy. Please don’t think I’m crazy. 10. I worry that people will think I’m crazy. so now is the perfect opportunity to take advantage of the Free trial. Needless to say I’m super excited about this! I don’t know Spanish so I can appreciate the guidance that comes with a program like this. Starting in September we’ll be using Speekee’s 4 day outline alongside one day of Co-op Spanish class. The theme will be Responsibility with a preschool theme of Cats! I’ll be posting more Bible Verse Printables on Totally Tots! We’ll be starting up the third CD of Seeds family worship music. 2011-2012 Homeschool Year…Once I finalize all my chocies that is! So that’s what’s coming up!